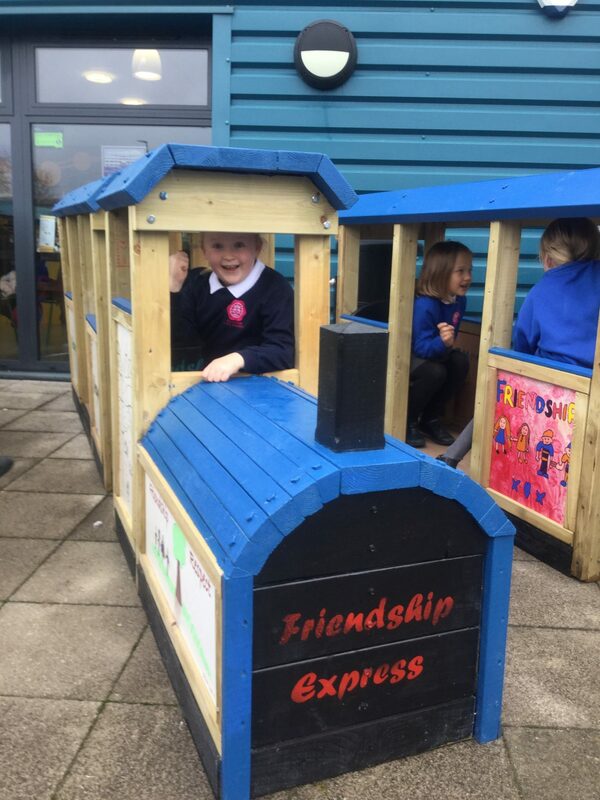 The children (and staff) were super excited to attend the launch of our very own ‘friendship express’. The newspapers and BBC were there. We even made it onto the evening news! 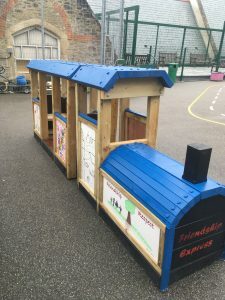 The children cannot wait to start playing on the trains and show them off to the rest of the school. A HUGE thank you to Mr Dance and the Carpentry students at South Devon College and Inter-Line Building Supplies. 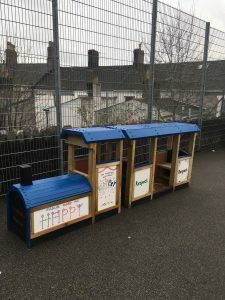 Created in response to national anti-bullying campaigns, the trains will also act as a safe area for students who may feel isolated or upset with teachers spotting those in need of help with ease.